This SigFig was put together as a Christmas gift for a friend. 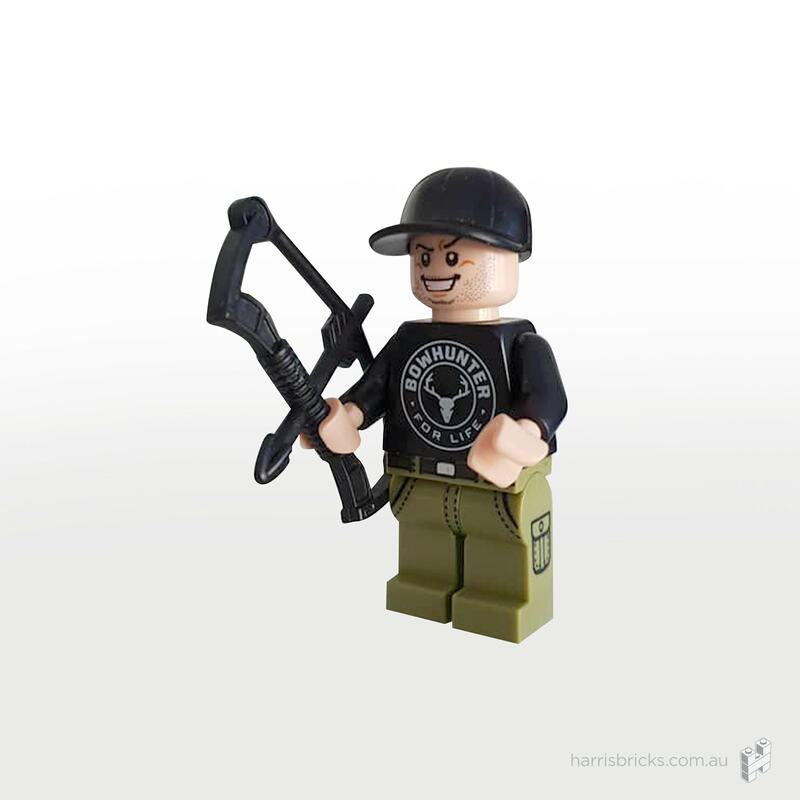 It represents Simon from Bowhunter for Life as a LEGO minifigure and was designed with Simon’s partner Leah as a Christmas gift. Simon is an avid bowhunter and has a line of bowhunting apparel called Bowhunter for Life. The printed torso was expertly printed by Edd at BrickSanity in the UK.